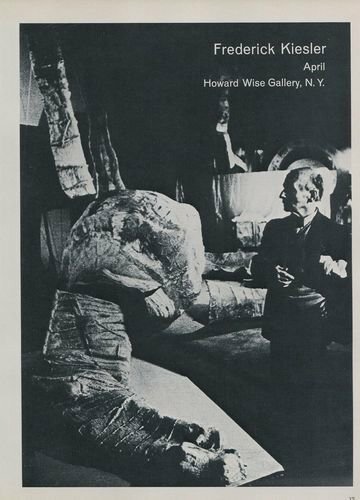 Original magazine advertisement from the year 1969 for an exhibition by Frederick Kiesler to take place in April, 1969 at Howard Wise Gallery, NY. The advertisement was carefully removed from a magazine. The ad measures approximately 8 5/8 inches wide by 12 inches high (including margins).